Periodontal treatments depend on the type of the disease and how severe it is. If the disease is caught early (when it is gingivitis), and no damage has been done to the supporting structures under the teeth, you may simply need a professional cleaning. The dental team can give you tips for improving your daily oral hygiene. 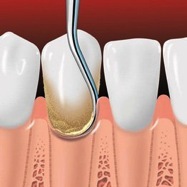 Scaling removes plaque and tartar from below the gumline. 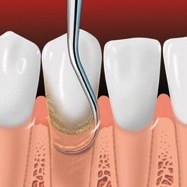 Root planing smoothes the tooth root and helps the gums reattach to the tooth.